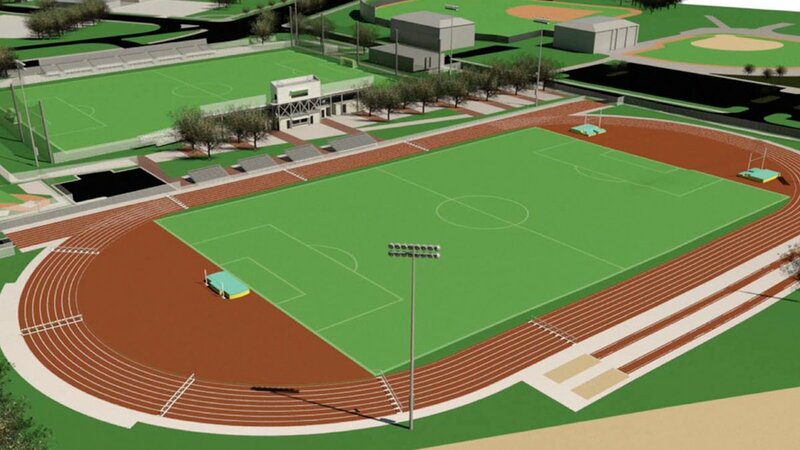 Committee approves a construction contract with Taylor & Miree Construction of Birmingham for the new $3.5-million UAB track and field venue. Will UAB field both gender T&F teams now? West Campus Field (old soccer field) will be the location for the new facility. T&F is still women only. This is awesome news, absolutely fantastic. Looking NE with BBVA Compass Field, Mary Bowers Field & Young Memorial Field in the background. Looking SE with BBVA Compass Field, Mary Bowers Field & Young Memorial Field in the background. Correct me if I'm wrong but that view looks like it's facing northeast.